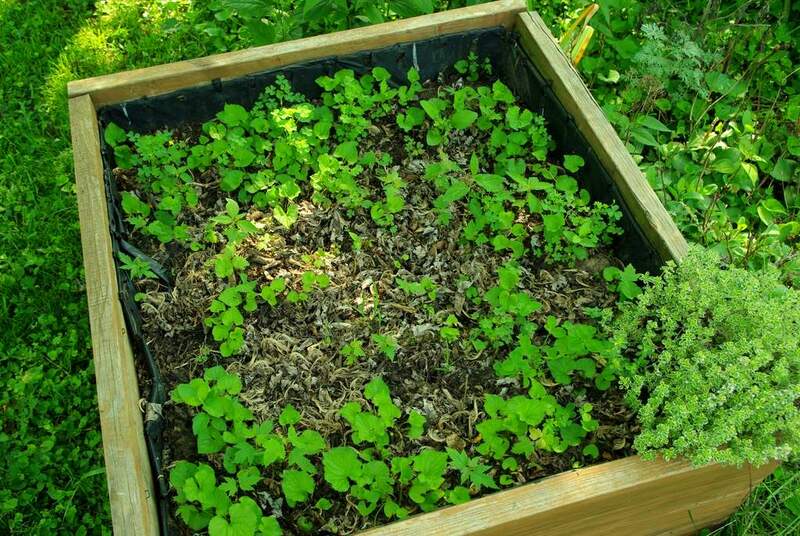 I cleared this small raised bed out last fall, and until today had not decided what to plant in it. I've been debating whether or not I should plant a bamboo in it, and finally decided that it would be a good idea. 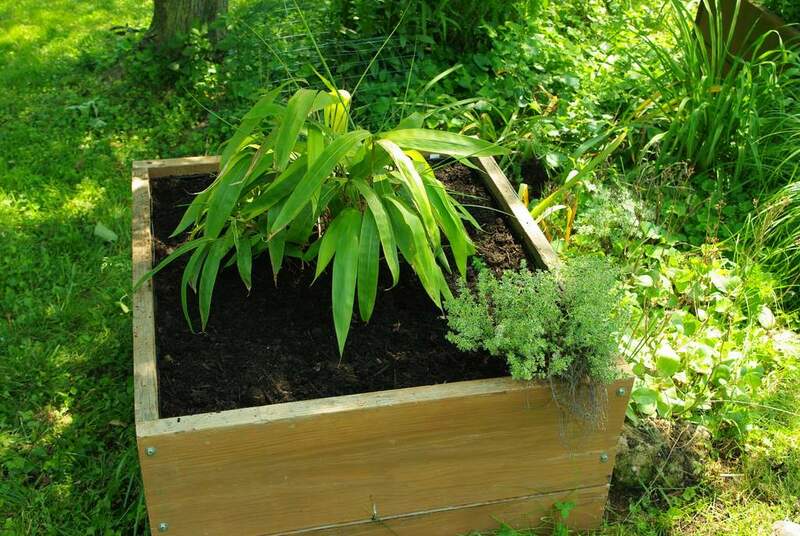 I've also decided which bamboo to plant there: Indocalamus tessellatus. This bamboo is shorter (maybe 5-6 feet tall in this confined area) but has the largest leaves of any temperate (cold-hardy) bamboo. It should be impressive. 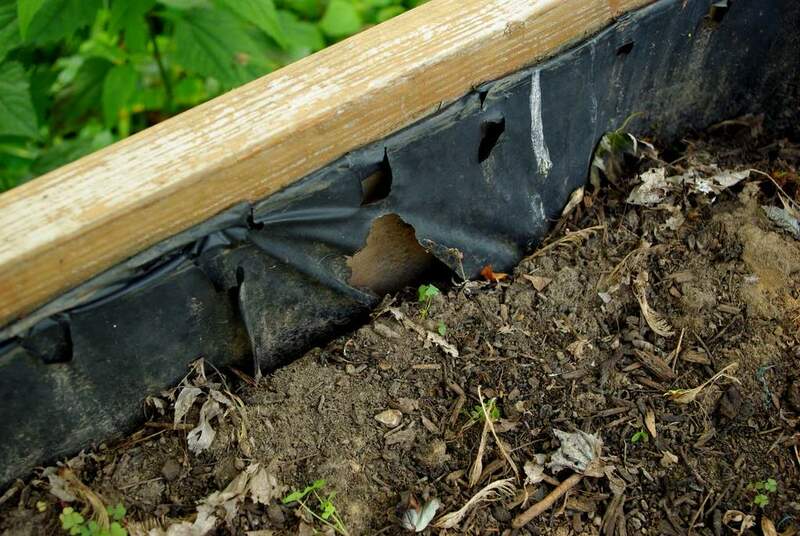 The liner is just to keep the soil from contacting the wood, which will make it last a few years longer. First, I'll remove the deck screws that are no longer holding the boards together well, and replace them with some bigger lug screws. 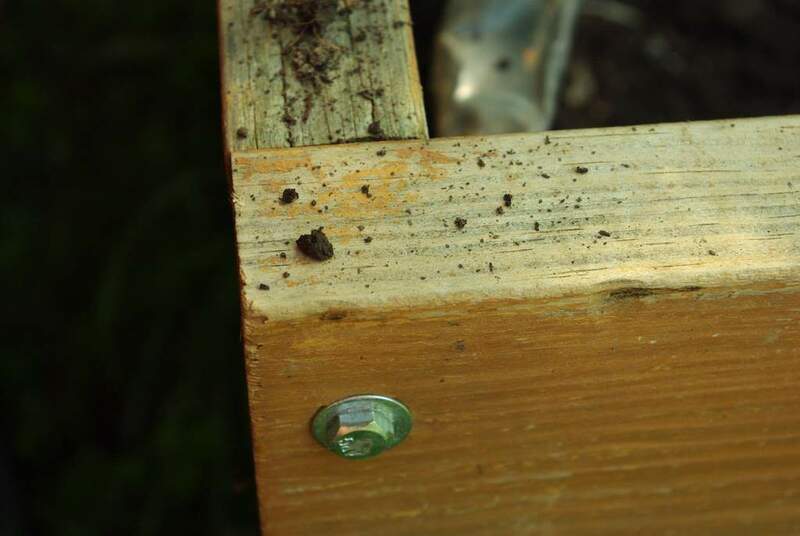 I used the deck screws when first building boxes, but changed to the lug screws and washers the last couple of years. The deck screws work fine at first, but eventually start losing grip. I pre-drilled for the lug screws to help keep the wood from splitting, and it was really satisfying to feel these things grip in and pull the joints tight! 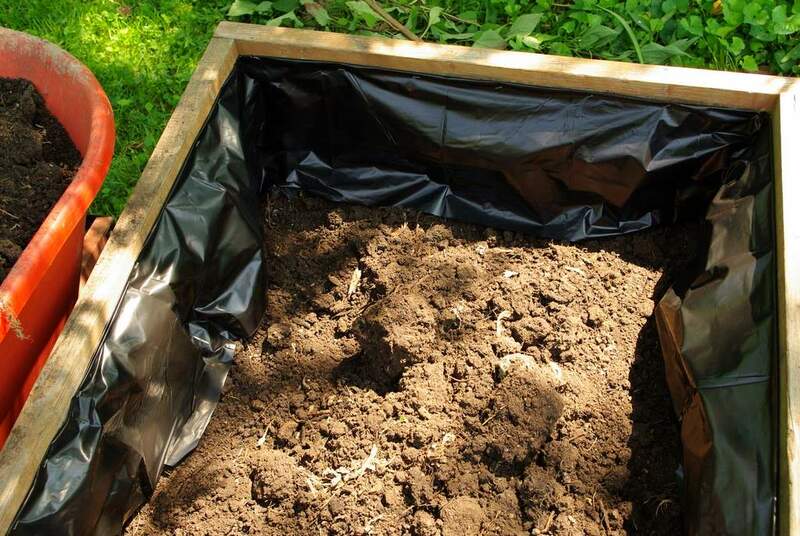 Next I need to remove about half of the soil so I can replace the plastic. 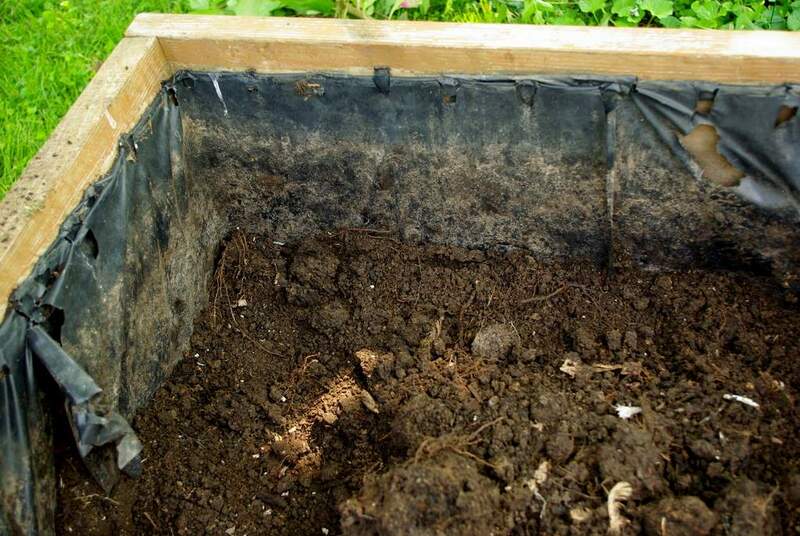 Even if I wasn't going to replace the plastic I would have done this so I could mix in a lot of compost and fetilizer. 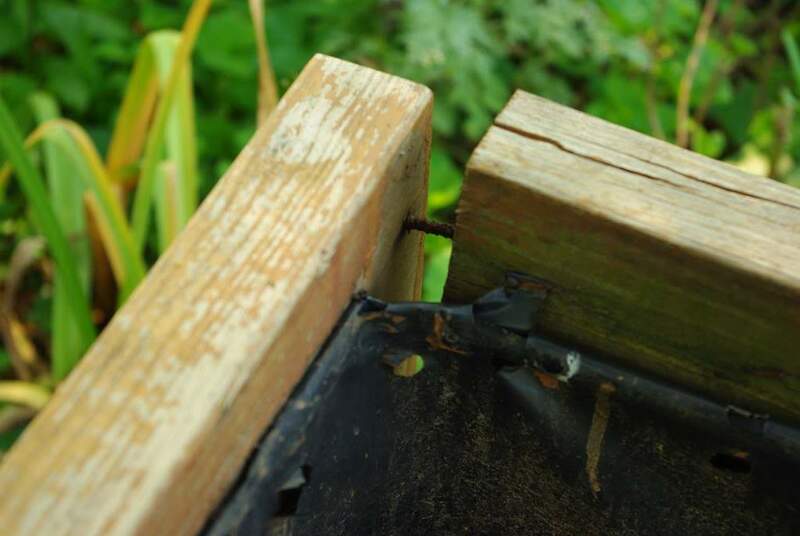 After pulling the plastic off (and brushing dozens of ants off of me -- they had a nest between the plastic and the wood) I decided to pry out all of the old staples with a screwdriver. Tedious, but didn't take too long and will prevent scratches in the future I think. 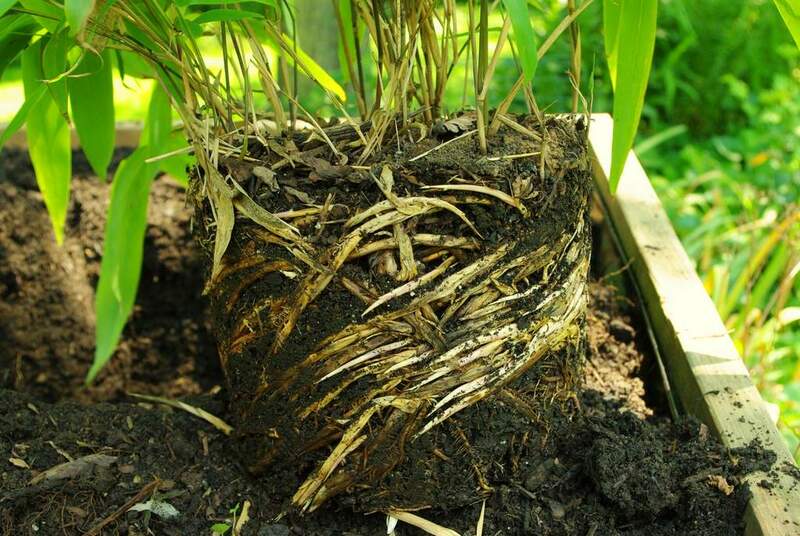 As you can see it's got a lot of rhizome growth and was really ready for a new home. When I put it in the hole I dug, I made sure to pull some of the rhizomes away from the rootball so they'll spread out more. I only did this to some of them though, because I was afraid of damaging them. The box still needs a new coat of waterproofing stain, but it looks so much better now than it did. It's amazing how those loose corner joints really made it look shabby. I replanted the vatiegated thyme, as it seemed like a good spot for it and I really didn't know where else to put it. This is going to be an impressive bamboo in just a couple of years! 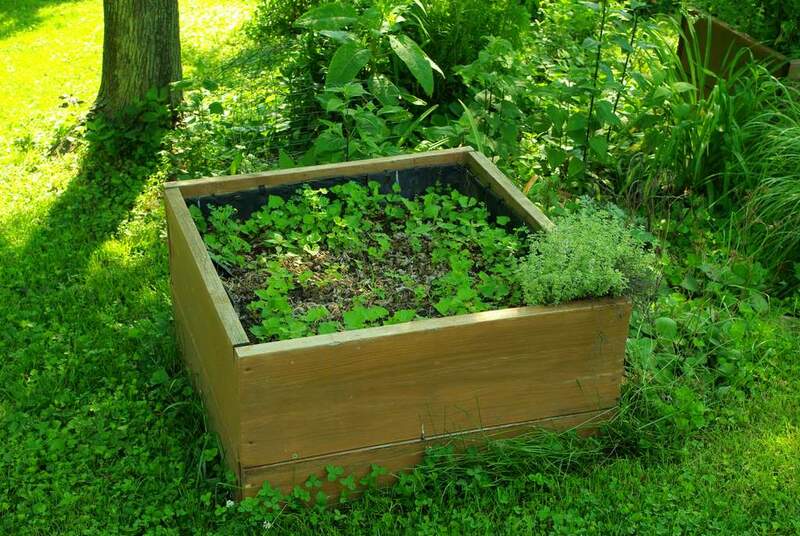 Now I just need to do something about that weedy mess behind this box. Sheesh, what a mess!